The Spring 2019 Book Fair opens Monday March 11th and will continue through Friday March 15th. 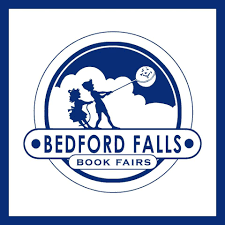 This year we will be hosting the Bedford Falls Book Fair, and we are delighted to offer new exciting titles; so, plan your trip to the 2019 Spring Bedford Falls Book Fair today! The hours are for the book fair are Monday- Friday 7:20AM – 3PM. Purchases may be made by cash, credit card, or check payable to Vaughan Elementary. If paying by check please note that we can only accept checks for the exact purchase amount: No change may be given for checks. Note also that there is NO sales tax. The mission of the Vaughan Elementary Learning Commons is to ENGAGE students and staff as effective and ethical users of ideas and information. Our program INSPIRES the love of reading and 21st century skills, ACHIEVING life long readers and learners. Have You Tried Your New Library PASS? What is the Lexile© of that Book? © Content copyright - Vaughan Elementary Learning Commons.